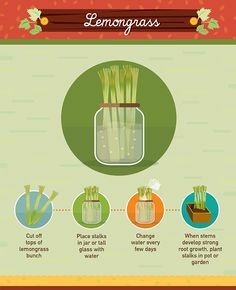 Thanksgiving is just around the corner and with it comes the warm fuzzies that means the holiday season is upon us. It’s a time for reflection, giving, sharing and for counting your blessings! A few years back we started a thankful tree. 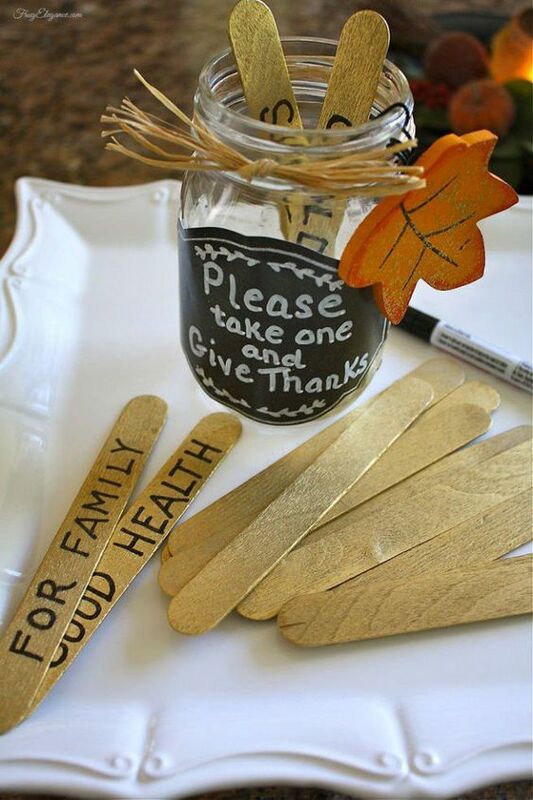 The idea is to write on a leaf something you are thankful for each day and place it on a large felt or paper tree (usually hung on the wall). 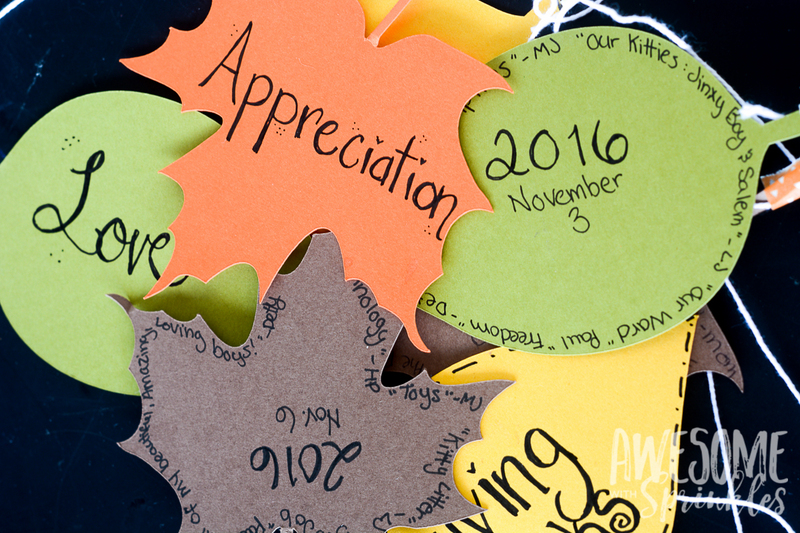 At the end of the month the thankful tree is full of colorful leaves with sweet messages of gratitude. Sadly, our thankful tree went missing in our move, and time has not permitted to make a new one. So treeless and in a time crunch I have resorted to hanging our leaves from the ceiling. Yes you read that correctly….from the ceiling! I actually really love this! They hang in our dining room all around the table and it feels like they are fluttering down on us, and we are reminded of our many blessings and the love we have for each other. 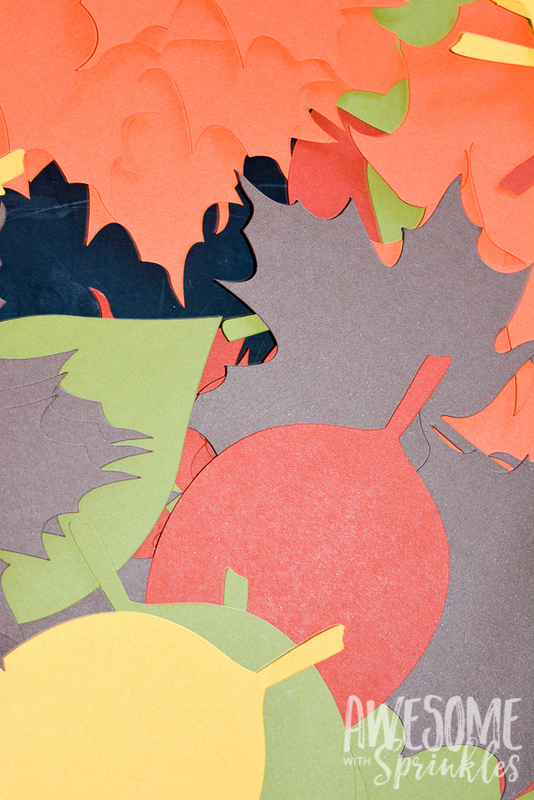 Thankful Tree Leaves are such a simple craft to do. I used my Cricut this year (it’s my first year having one), and it zipped through the project super fast. 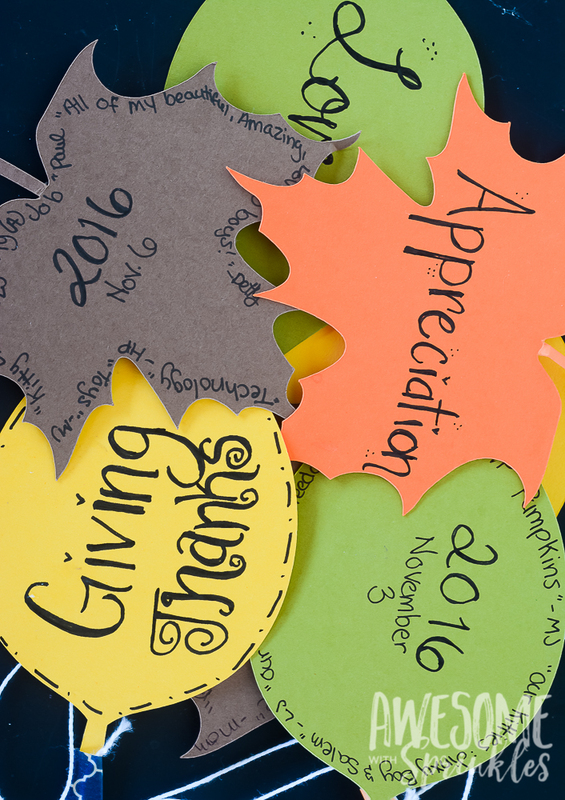 If you don’t have a Cricut, never fear…we have made a FREE awesome thankful tree leaves printable for you. One page has plain leaves for you to write in your own grateful words and the other page has some words already printed for you. 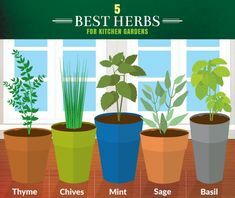 Use them however you would like! Just print them out on various colors of cardstock and cut them out. 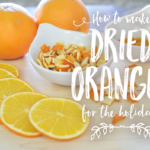 It’s a perfect craft to do while you are relaxing and watching your favorite flick. We used washi tape and some thin string to hang them from and it worked great! Check out your local craft store for 8.5 x 11 color cardstock packs. I picked mine up here. If you are really in a time crunch, for a little extra money they may even have foam or paper leaf packs that are ready to go! I wrote words of kindness and gratitude on the front of each leaf and then wrote a grateful thought from each member of the family on the back. We have kept leaves from past years and look back at them. Some favorites are from when the boys were really young. Let’s just say they are very thankful for food! 🙂 As they have grown they express sweet gratitude for “teachers”, “little brothers”, and “mommy” (queue mommy heart melt). 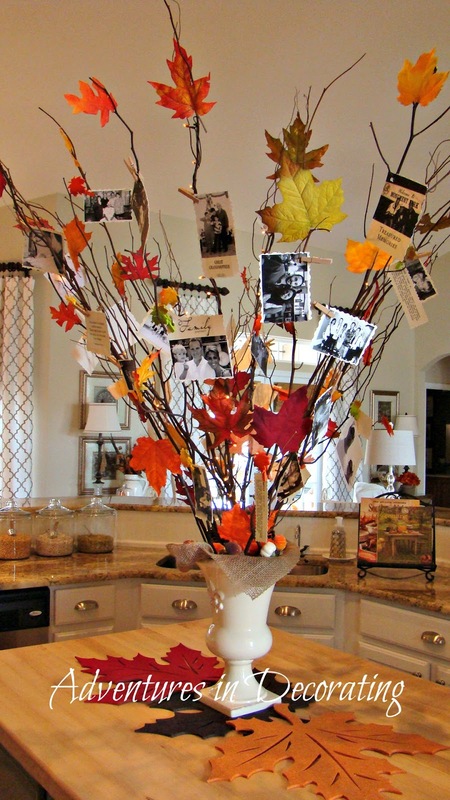 There are so many wonderful ideas out there for different takes on the “thankful tree”. 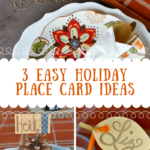 I have gathered a few favorites for you and you can also see a whole bunch on our Thanksgiving Pinterest board. 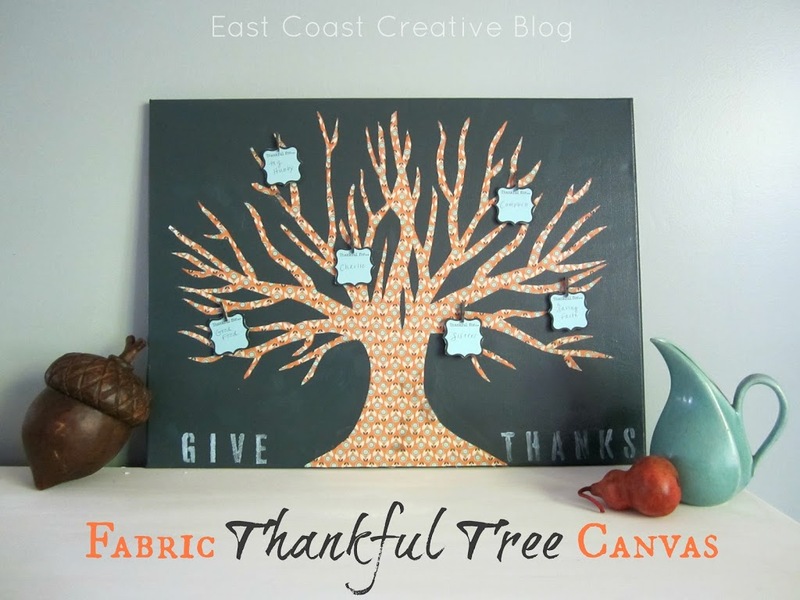 With a simple painted canvas and some festive fabric, this is a beautiful way to display things you are grateful for. I love the use of mini clothes pins! 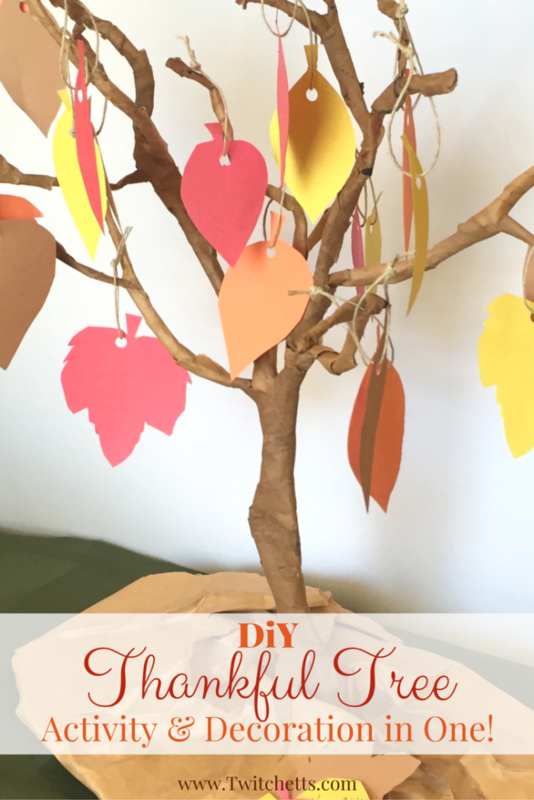 Get more details on how to DIY this Thankful Tree at u-createcrafts.com. 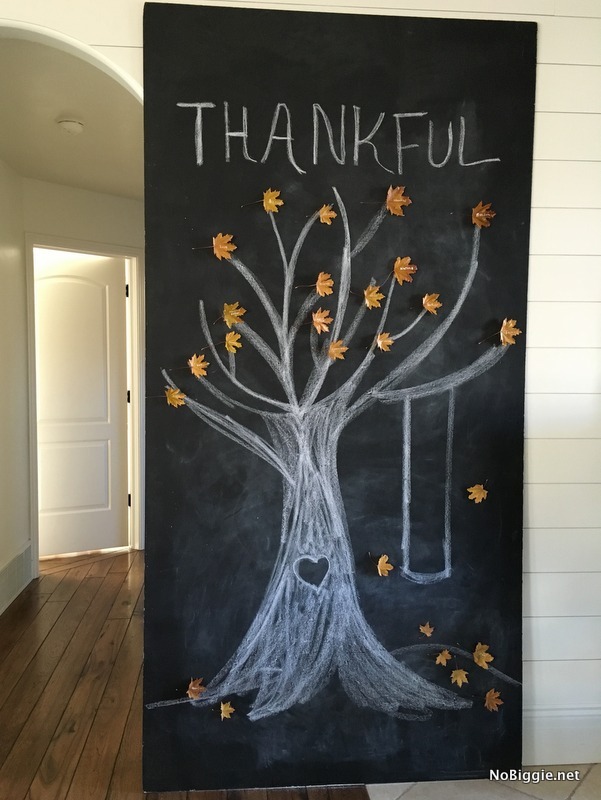 Over at Simple Vintage Girl they have created a stunning Thankful Tree with wooden chalkboard leaves! Brilliant! 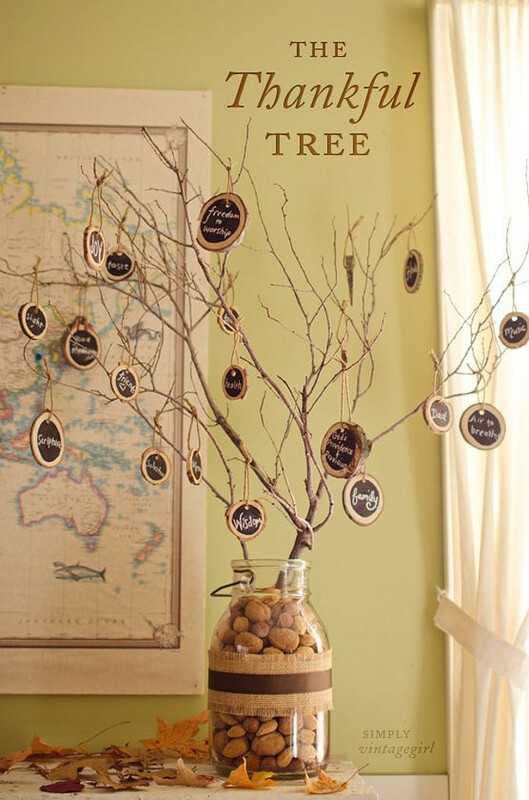 This amazing chalkboard tree not only makes a huge statement but it has REAL waxed leaves! It’s a perfect way to transform your existing chalkboard wall (another great idea for the classroom)! Get the full tutorial on nobiggie.net. 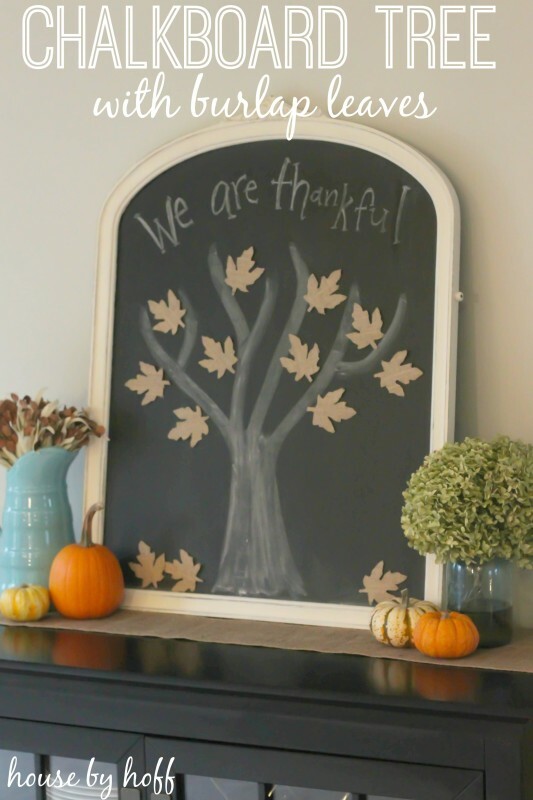 If you don’t have a chalkboard wall at your disposal, downsize to a cute chalkboard for your mantle or sideboard. HousebyHoff.com transformed an old mirror (you can pick one up at a thrift store) into a chalkboard and added burlap leaves for a country touch. Cute! 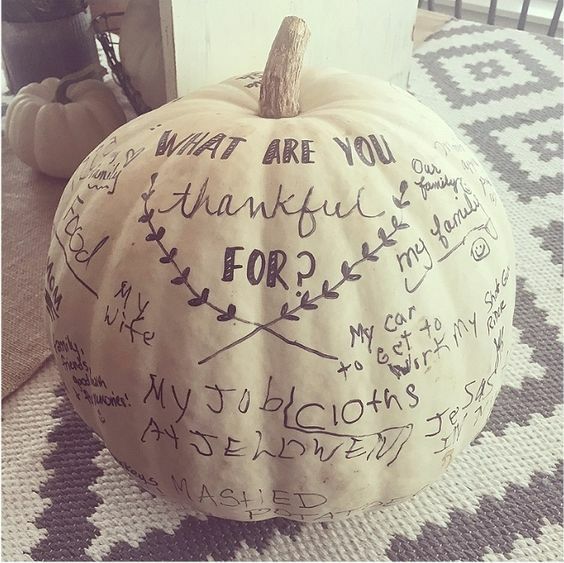 One of my favorite ideas is this Thankful Pumpkin! What a beautiful way remember the day. Pass this pumpkin around at your Thanksgiving table and let everyone write their grateful thoughts. The original pin was from Good Housekeeping but the page is no longer there. But you get the idea! Faux pumpkin + sharpie = donzo! 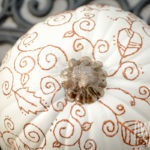 If you want glam it up a bit, check out our beautiful faux fabulous no-carve pumpkin decor craft! 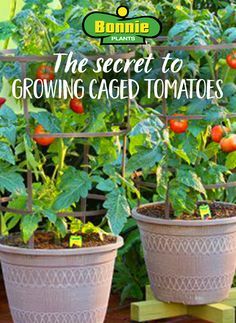 This is a super cute idea for those of us who are more ambitious in the DIY department…(cough Heidi). Get the instructions at hertoolbelt.com. This twist on the traditional tree is simple, yet beautiful. 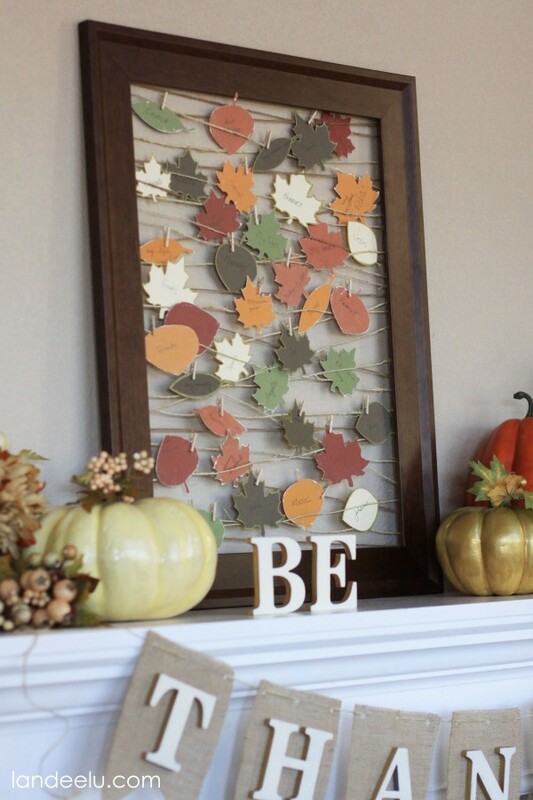 Using an empty frame, teeny clothespins and some pretty leaves this gratitude frame would make an impact to any mantle! 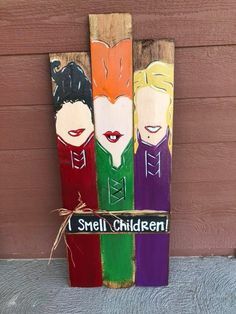 I am feeling some inspiration coming on for my Seasonal Swap Sign! 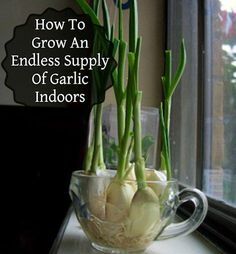 Get the full tutorial on landeeseelandeedo.com. Using lighted branches and family photos, I absolutely love how simplistic and beautifully this tree is done. Family is such an important part of everyone’s lives. This Heart of the Home tree (as I am calling it) is a perfect celebration for this time of year (by: Adventures in Decorating). 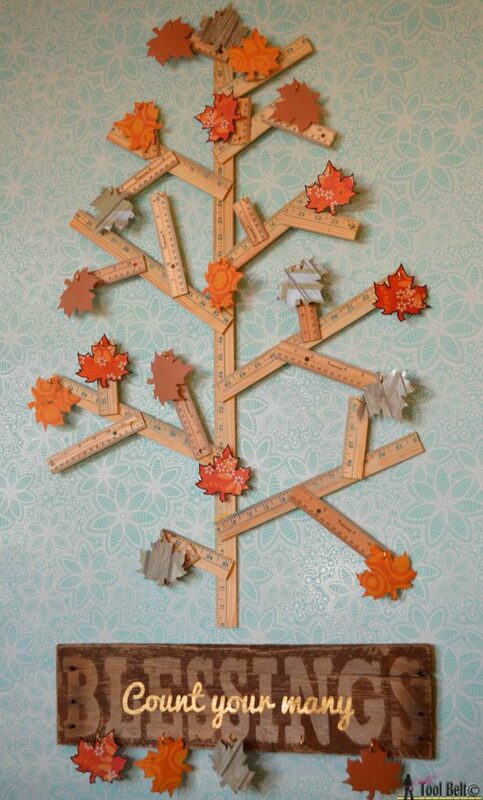 This craft activity from Twitchetts.com takes DIY to the next level as you build your own tree (don’t worry, it’s not hard!). 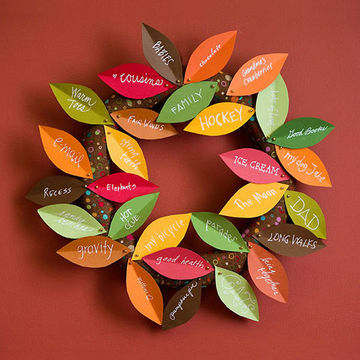 Filled with paper leaves with thankful thoughts it’s a fun centerpiece for your fall decor! 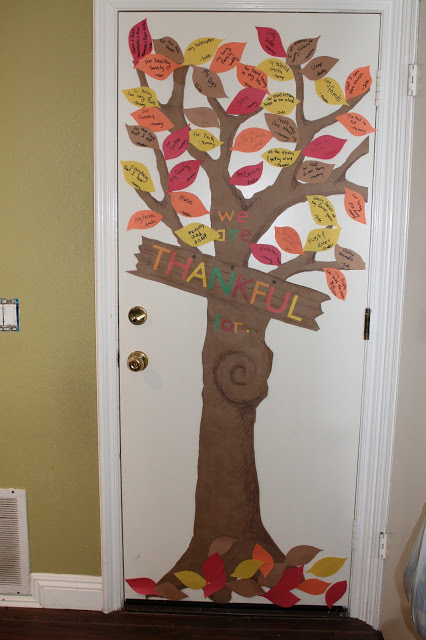 A great space saving idea is to put a thankful tree on the back of your door. This is perfect for classrooms too (I’m pretty sure teachers have been doing this for years!). 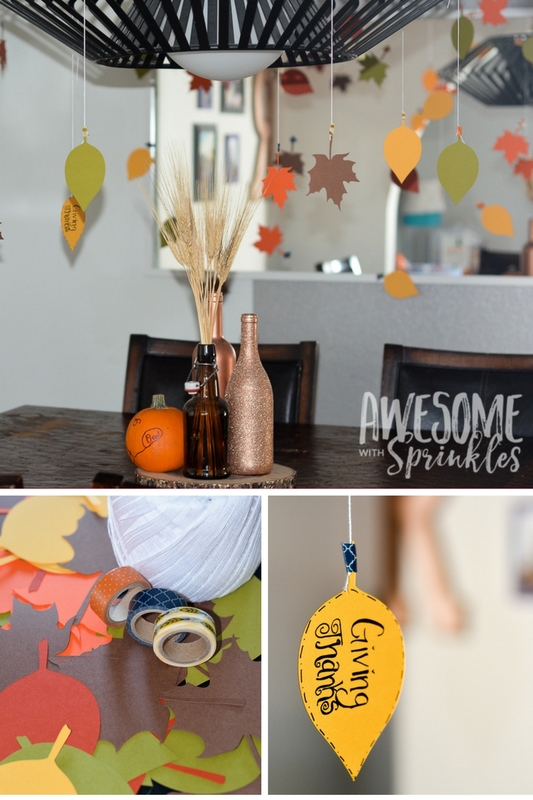 This cute thankful tree door is from the creativelyquirkyathome blog. How about a turkey instead of a tree? 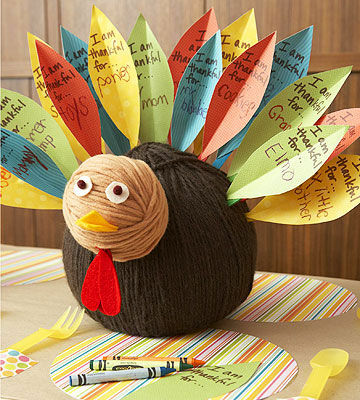 I love the 3D element of this turkey by using the yarn covered foam balls, but you could just as easily paste a turkey on the wall or door and tape leaves around him if you were tight on space. Check it out on Parents.com. This simple craft transforms a styrofoam wreath form into a colorful decoration with just a little fabric and paper! From Parents.com (you’ll find it on slide 16). 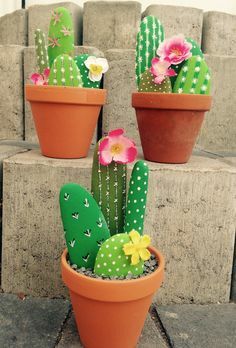 Another craft without a good source to link back to, but I still wanted to include it because it was cute and super easy! 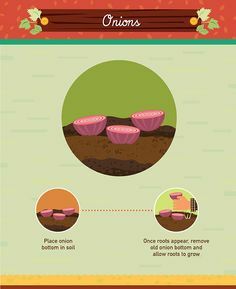 This would be a great activity for everyone at the dinner table to do. Then you can share your grateful thoughts over dessert! If you want to jazz your sticks up a bit you can dip them in chalk paint like we did here! 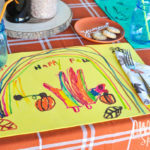 Use a paint marker for a permanent message or use a regular piece of chalk or chalk marker and they will be reusable for years to come.